Richard M. Hluchan has been elected the next president of the Georgetown University Alumni Association. As president, Hluchan will assume a leadership role over the 170,000 Georgetown alumni around the globe. Hluchan, a resident of Haddonfield, is a partner in the law firm Hyland Levin LLP based in Marlton, where he practices land use and environmental law. 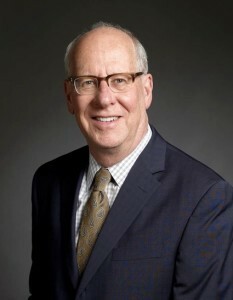 He graduated from the Georgetown School of Foreign Service in 1971, is a longtime leader of the Georgetown Club of Southern New Jersey, and has served on the Board of Governors of the alumni association since 2003. Georgetown University was founded in 1789 in Washington, D.C. and is the oldest Catholic and Jesuit University in the United States.